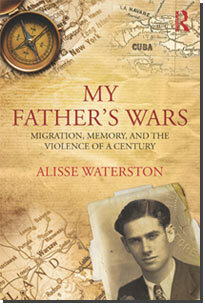 “My father was born into war,” begins this remarkable saga in Alisse Waterston’s intimate ethnography, a story that is also twentieth century social history. This is an anthropologist’s vivid account of her father’s journey across continents, countries, cultures, languages, generations—and wars. It is a daughter’s moving portrait of a charming, funny, wounded, and difficult man, his relationships with those he loved, and his most sacred of beliefs. And it is a scholar’s reflection on the dramatic forces of history, the experience of exile and immigration, the legacies of culture, and the enduring power of memory. Find out more about My Father’s Wars by exploring the unique features in the Story Companion.